We recognize that talented people give organizations a competitive advantage in today's business environment. We have taken time to identify and include quality individuals into the company’s operations, from the Board to Management. 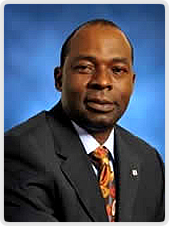 Mr. Oritsedere Samuel Otubu is the Chairman of STACO Insurance Plc, a Non-Executive Director in Access Bank Plc, a Director in Eko Electricity Distribution Plc and Food Emporium International, and also the Founding Chairman of Senforce Insurance Brokers Ltd.
Mr Otubu holds a Masters and Bachelor's degree in Finance and Accounting respectively from the Houston Baptist University, United States of America. He has over 25 years of entrepreneurship, top level management and project design/planning, implementation and management experience locally and internationally. Bayo Fakorede started his insurance career with Nigeria Reinsurance Corporation in 1983 as Assistant Superintendent and left in 1989 as Senior Superintendent to join Kapital Merchant Bank Limited as Insurance Manager. He left the Kapital Group in 1992 to join Colenson Brokers Nigeria Limited as Assistant General Manager (Technical), a position he held until February 1994 when he joined Elmac Insurance Limited. 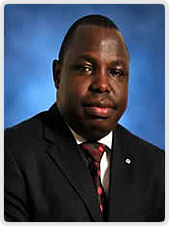 He joined STACO Insurance Plc in February 1997 as pioneer Branch Controller. He was later promoted AGM (Marketing). He is currently Executive Director - Operations. In the past two (2) decades, Samuel has gathered a wide range of assurance, audit, forensics, tax, consulting and financial expertise at senior management and board level positions, and across diverse industries ranging from Professional Services, Insurance, Banking, Manufacturing and Multinationals Companies. He was at various times an Audit Senior and Manager with the firms of Olawale Coker and Co (Chartered Accountants) and Akintola Williams Deloitte. He was also at different times, head of audit, forensic investigations, finance, investments and accounting with SGS Inspections Services Nigeria Limited (A Multinational), Churchgate Industries (Nigeria) Limited and Cashlink Finance and Investments. He was the General Manager, Finance and Administration of Equity Assurance Plc before He joined Polak Group in 2010 as Group Managing Director/CEO. He is currently the Chairman of Imperial Asset Managers Limited, and a Director of CFS Financial Services Limited before his nomination and appointment as Chairman of Staco Insurance Plc. Mr. Talabi a finance Management executive with extensive experience in business operation management, organizational development especially in the Oil & Gas Sector industry. He has worked as a marketing and strategy consultant with major corporations such as Sapient Corporation , Credit Suisse in New York. He is presently the Managing Director of Electron Energy and he acts as consultant to Vitol SA, Geneva, Switzerland on Oil & Gas. Ms Emore has over 20years post-graduation experience that spans across strategic planning, business development, marketing communications-, image and political management. An experienced strategy and marketing consultant with demonstrated track record driving growth, reducing costs and improving operations of businesses and Non-Governmental Organisations. Able to develop, manage and execute organisational strategies for improved performance and business development plan. 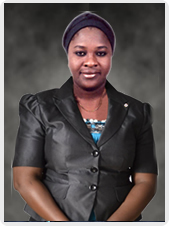 She is presently the senior consultant at Vant Garde Project Limited. Mr Mohammed is widely travelled and imbued with a conscientious culture that places a premium on tolerance, respect for facts, logic and an indomitable spirit for identifying problems and proffering solutions to them. He has a knack for figures with well-developed analytical skills. He has over the years worked on various developmental contracts and projects across all government parastatals. He is currently an entrepreneur in the FMCG industry with over 15years experience. Mr Alimson is a trained and qualified Administrator and Marketer with several years of experience in General Administration. He has over 10years working experience in the banking industry with vast knowledge in Forex and Regulatory controls. He is currently an entrepreneur with interest in Real Estate businesses. Okoturo has worked in several Financial institutions including Bank of Credit and Commerce International Nigeria Limited, Centre-Point Investments Limited and Shiroro Finance Limited. 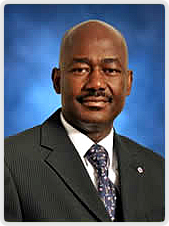 He is presently Executive Director of Alfred George Nigeria Limited (Venture Capitalist/Consultancy Services) and is on the Board of several notable organizations including Food Emporium Int'l Limited (operators of Barcelo's Brand in Nigeria), Oceandrive Foods Limited, AG Foods Nigeria Limited, Sastog Investments Limited and Associated Franchise Holding Limited. He is the Chairman of Polak Group of Companies. He is a Fellow of the National Institute of Marketing of Nigeria, National Institute of Sales Management and Certified Board of Administrators among others. He is a registered member of both the Chartered Insurance Institute of London and Nigeria. He started his insurance career in 1983 with Leadway Assurance Company Limited from where he joined the management team of Equity Indemnity Insurance Company Limited in February 1994 and retired as Managing Director in January, 2010. Mr. Emmanuel Chiejina is the Chairman of AshBard Energy Company Limited and currently serves on the board of Access Bank Plc, Staco Insurance Plc, F & C Group and Green Technologies Limited. He spent an active part of his career with ELF Petroleum Nigeria Limited (Total E & P) where he spent twenty-seven years and retired as Deputy Managing Director in 2007. 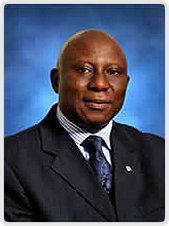 Mr. Emmanuel Chiejina is a graduate of Law from the University of Lagos (1975). He was variously educated at Cranfield Institute of Technology, European Institute of Business Administration (NSEAD), University of London and London Business School. He commenced his professional career with Johnson and Johnson Consulting London between 1989 and 1991, before joining Guaranty Trust Bank Plc. 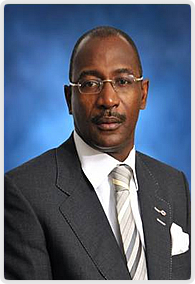 He left GT Plc in 1998 to start D'Group Incorporating Calvary Airlines Limited, Becca Petroleum & Gas Nigeria Limited and Cordero Engineering Services Limited. He is a highly imaginative and strategic thinker, hardworking, honest, dependable, self motivated and extremely resourceful business tycoon with excellent communication skills. He has over the years developed a tremendous ability of setting up business ventures and running them successfully. 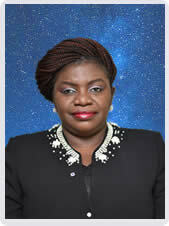 Love Ojakovo was a Deputy General Manager in the former Allied Bank of Nigeria Plc. 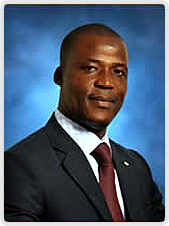 He is also the Chairman/CEO of Lovan (West Africa) Limited and Lovan Associates Limited. He was Honorable Commissioner for Housing in Delta State Nigeria between 2003 and 2005. 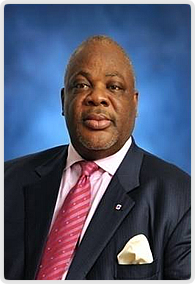 He commenced his professional insurance career in 1978 with NICON Insurance Plc and subsequently worked with Rivbank Insurance Company Limited, Prudential Union Assurance Limited and Leadway Assurance Company Limited before joining Financial Assurance Company Limited as AGM (Operations) in 1992. He demonstrated zeal and hard work by combining busy office schedule with academic pursuit and completed the fellowship examinations of the Chartered Insurance Institute of London in 1992 . He left Financial Assurance in August 1994 as Deputy General Manager (Operations) to join STACO Insurance Plc as pioneer Managing Director/Chief Executive. Tayo Ajibulu is in charge of Management Services and also oversees the Corporate Marketing activities of STACO Insurance Plc. He is Alumnus of Lagos Business School and Ashbridge Management School, United Kingdom. 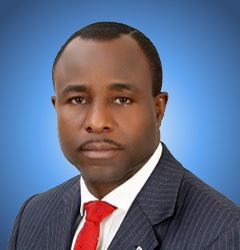 He has over 28 years commercial law practice and started his career with Tunde Bakare & Co (Legal Practitioners) as Deputy Head of Chambers and later Segun Abiodun & Co., then Tripod Holdings Ltd (a holding company with huge investments in Rims Merchant Bank Ltd, Rims Ltd, Rims Trustees Ltd, Lighthouse Investments Ltd and Cornerstone Insurance Plc) as Group Company Secretary and Legal Adviser. 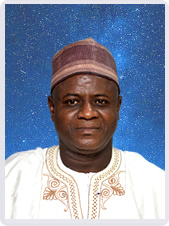 He was a foundation staff of Cornerstone Insurance Plc as Company Secretary/Legal Adviser where at various times he was in charge of the Company’s Secretariat, Legal Department, Corporate Affairs Administration and Human Resources before Heading the Core Clients Group and later the Group Head of Business channel Management overseeing the activities of alternative market. He was at various times the Honorary Secretary and Vice Chairman of Ikoyi Club 1933. 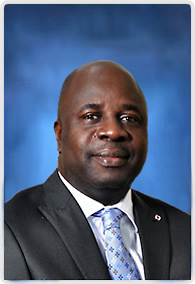 Bola started his insurance career with Ban-Doy Brokers Company (now Three Ds Insurance Brokers} in 1985, and later joined Merchant Alliance Insurance Brokers Limited (now Cornerstone Insurance Plc) in 1991. He rose to the position of Senior Manager in the company. 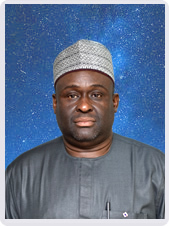 He was instrumental in setting up Kaduna and Ibadan Branch Offices of Cornerstone insurance and upholding the Lagos Brokers Market until July 2005 when he joined Mutual Benefits Assurance as Assistant General Manager Corporate Marketing. 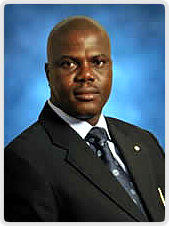 He joined STACO Insurance Plc as Assistant Director Brokers Management in April 2007. He is a graduate of Lagos State College of Science and Technology (now Lagos State Polytechnic). He commenced his insurance career with Law Union & Rock Insurance Plc as a graduate trainee and rose to the position of Manager in 1989. 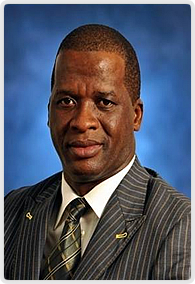 He left in 1996 to join Unitrust Insurance Company Limited as Senior Manager (Technical) He left Unitrust in March 2000 to join Amicable Assurance Plc as Assistant General Manager (Technical), a position he held until January 2001 when he joined Standard Trust Assurance Plc (now STACO Insurance Plc). 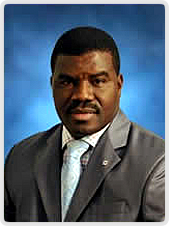 Mr. Oyaleye qualified as an Associate Member of the Chartered Insurance Institute of Nigeria in 1996 and is also a holder of a Postgraduate Diploma in Management from University of Uyo. He has 25 years experience in the Insurance Industry. 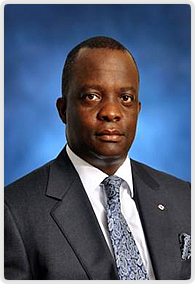 He joined Standard Trust Assurance Plc (now STACO Insurance Plc) in 1996. He is a graduate of University of Ilorin in Administrative Management, and also holds MBA from University of Ado-Ekiti. 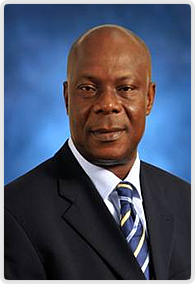 He is an Associate of the Chartered Insurance Institute of London and the Chartered Insurance Institute of Nigeria. Before joining STACO Insurance Plc, he had worked with Sun Insurance Plc, Lombard Insurance Company Ltd. and Summit Insurance Company Ltd., all at management levels. He has also attended several courses in insurance locally and abroad. Tunji Nosiru is a member of the Chartered Insurance Institute London and has working experience spanning over two decades. 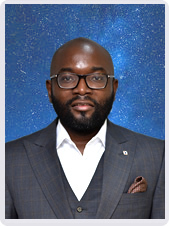 He has worked with various insurance organizations including NEM Insurance Plc, A & G Insurance Limited and LAMDA Insurance Limited before joining the marketing force of Standard Assurance Plc (now STACO Insurance Plc) in 2000. He is the company's Chief Risk Officer. M.Sc Business Admin. (University Of Lagos). Mr. Shogo's experience spanned from the banking industry where he was an administrative officer with Merchant Bank Of Africa. He started his career in insurance with IGI as the Head Maintenance & Strategic Marketing . A position he held for 6years. He was promoted to the post of the Operations Manager (Northern Axis) in 2002. This position he held till he joined Staco Insurance Plc as Assistant General Manager in 2009. He has risen to become an Assistant Director. 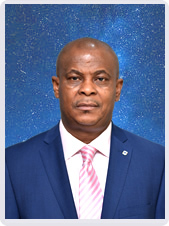 Mr. Adetayo has over 20 years experience in the insurance industry which includes Yinka Omilani & Associate where he worked as a Marine Surveyor & Loss Adjuster for over fourteen years. He has attended several courses both locally and overseas and has developed competences in Oil & Energy as well as other classes of insurance including general accident, fire & engineering and marine insurance. Mr. Adetayo joined Staco Insurance Plc in 2005 as the Controller Technical and has risen to the post of Assistant Director. 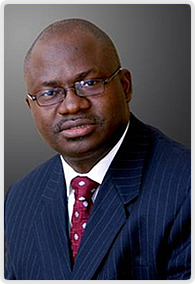 Jaiye Fatungase is a fellow of the Institute of Chartered Accountants of Nigeria. He is an alumni of both Lagos State College of Science and Technology (Now Lagos State Polytechnic) and the University of Calabar. He trained at Egunjobi Sulaiman & Co (Chartered Accountants) and has worked in the FMCG and Glass Container Industries in Nigeria. 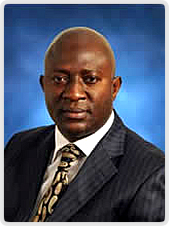 He joined Staco Insurance Plc in 2005 and rose through the rank to become an Assitant Director. A Chartered Insurance practitioner with over 10 year's cognate post qualification experience, she joined STACO in 1999 as a superintendent and rose through the ranks to the position of AGM, Technical. Yetunde Dawodu is alumni of The Polytechnic, Ibadan and Ladoke Akintola University of Technology (LAUTECH) where she obtained HND Insurance and MBA Marketing Management respectively. 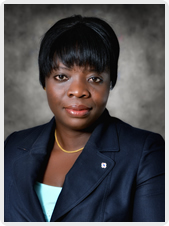 Adahunse Serifat is an Associate of the Chartered Insurance Institute of Nigeria (ACIIN). She has worked with Glanvill Enthoven & CO. and City Union Insurance Company before joining the Technical Department of Staco Insurance Plc in 1999. As an Assistant General Manager, she currently oversees the Re-insurance unit of the company. 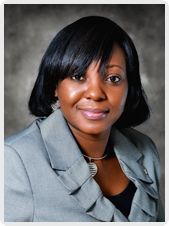 Wunmi Lawal is an Associate of the Chartered Insurance Institute of Nigeria (ACIIN), with over 13 year's cognate post qualification experience. She joined STACO in 2001 as a Senior Superintendent and rose through the ranks to the position of Assistant General Manager. Wunmi is alumni of Lagos State Polytechnic, Ikorodu, Lagos and Lagos State University, Ojo, Lagos, where she obtained HND Insurance and MBA Human Resources respectively. 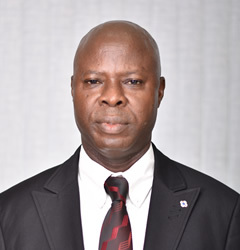 Mr Famakinwa Aluko Taiwo is a Fellow of the Institute of Chartered Accountant of Nigeria. Fellow, Chartered Institute of Taxation of Nigeria, Registered Member, Financial Reporting Council of Nigeria and an Associate member, Nigeria Institute of Management. He is a graduate of Business Administration from Kwara State Polytechnic, Ilorin. 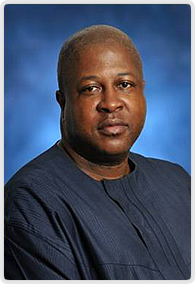 He completed his MBA (Marketing) from Lagos State University in 2005. Mr. Famakinwa started his working career with National Orthopaedic Hospital in 1990 where he joined Standard Trust Assurance Company in 1996. He also worked with TPT International Ltd, a Media and Public Relation Company as Head of Finance and Administration before joining LAGBUS Asset Management as Head of Accounts in 2008. He later moved to Backlink Technology Solutions Limited, a subsidiary of Oceanic Bank International Plc as Financial Controller before joining Staco Insurance Plc in 2010. 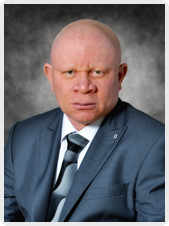 Mr. Famakinwa has acquired well over 20 years of working experience in several areas, which include but not limited to Hospitality, Insurance, taxation, finance, auditing, accounting, and general administration. Ahmed Tiamiyu is an astute Insurance Practitioner. He started his Insurance career in Nigerian-French Insurance Company Limited and later moved to Great Nigeria Insurance Company Plc from where he resigned as Head of General Business Operations in 2004. He traveled abroad and worked with Marcus Evans in the International Marketing Division, Johannesburg, South Africa and for his interest in Insurance Industry, he returned to the country; joined Equity Assurance Plc in July 2005 from where he moved to Staco Insurance Plc in January 2011 as Assistant General Manager and worked in various departments of the company before his new assignment as the Chief Compliance Officer. As a graduate of Education, he served as a Graduate Assistance during his NYSC year at Institute Of Education, Obafemi Awolowo University, Ile - Ife and thereafter worked with the department before joining the Insurance industry. He is an Associate of the Chartered Insurance Institute of Nigeria; a registered member of ACCPA (Association of Certified Compliance Professionals in Africa) and International Insurance Society Inc. New York, USA. He has attended various courses both within and outside Nigeria.